Are you looking for something different from the typical studio space or black box for your performance, workshop, meeting or class? 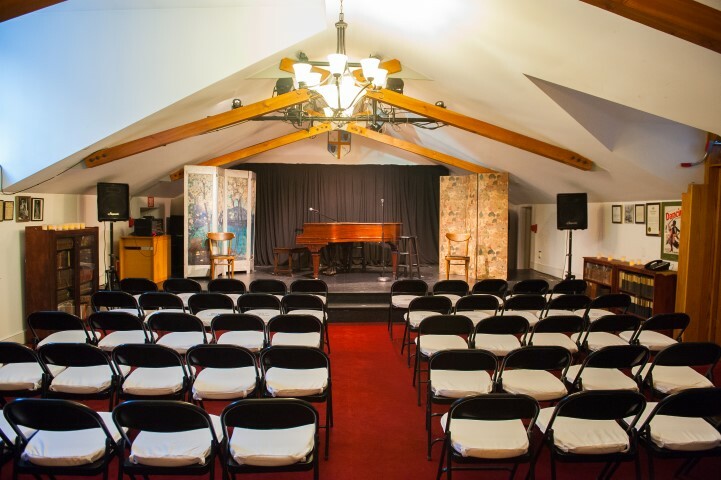 Centrally located on 29th Street between Fifth and Madison Avenue, historic Guild Hall is located on the second floor of the landmarked Little Church Around The Corner. This unique private room is warm and inviting with carpeted floors, vaulted ceilings, and air-conditioning. Please Note: Guild Hall could work nicely for "by appointment" auditions but the space is not suitable for open calls. Sound like what you've been looking for? Fill out the inquiry form below and someone will get back to you asap! Guild members get a discount on space rentals! Please let us know what date(s) and time(s) you have in mind, as well as any other information you think we should know.